The subtle lemon scent and flavor of Meyer lemons elevate these Meyer Lemon Blueberry Muffins to a different level! I saw these lovely Meyer Lemons at the store the other day and bought them to make some lemon curd. I saw a recipe on Pinterest for Meyer Lemon Curd and was very intrigued. I love lemon curd, but sometimes it can get a little too tangy for me and to balance out the tanginess there will have to be more sugar added. The good thing about Meyer Lemon is that, it has a little sweet element to it than regular lemons and I can only imagine how that would make for a wonderful lemon curd. So, I bought them for the lemon curd, but ended up making these Meyer Lemon Blueberry Muffins instead. I love the lemon blueberry combination and was craving for something baked and I decided to make this. 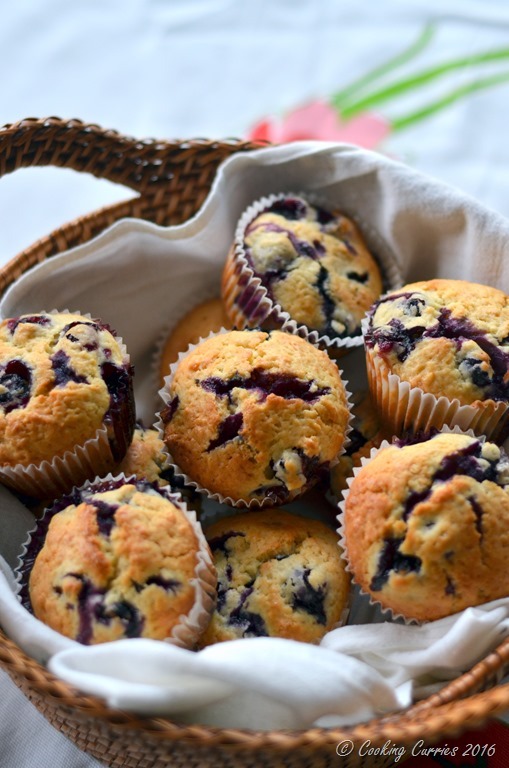 These muffins have a very subtle scent of lemon and the little bites of blueberry inside makes it such a good treat! I made a batch of these and they kinda served as breakfast and snack for the next couple of days. I always love it when there is something readily available when you need something good, something different, yet something substantial for a quick snack, especially for V when he comes back home from daycare. A muffin or two and a glass of milk – he is all set till it is dinner time. Mommy is happy too because this is homemade and I know exactly what all I have put in it! A total win-win! Preheat the oven to 400F and line a cupcake / muffin tray with muffin liners. Sift the flour, salt and baking powder. Cream the butter and sugar together and add the eggs to it one by one, beating well after each addition. Pour in the milk, lemon juice and lemon zest. Mix well. Now add the blueberries and mix it in. Pour into the muffin liners and bake in the oven for 20-25 mins. Serve warm. Mmmh they look so yum!! Oh my god these look beyond gorgeous. My two favourite kind of flavours, lemon and blueberry. AHhhh this looks amazing!!! Definitely saving it! Lovely blog, I love the pictures! Looks so good! Definitely want to try! This recipe sounds delicious and your photos are making me hungry! I will HAVE to try this! Thanks for sharing! How awesome!!!! Send me some when you get lemons from it. ? Wow this looks so yummy…already drooling over it.. 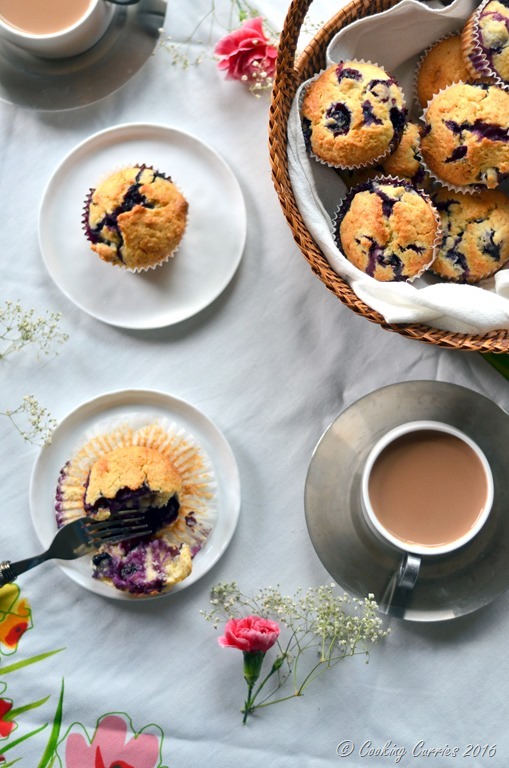 I love lemon and blueberry muffins — especially when they are home made! These look stunning and mouthwatering. 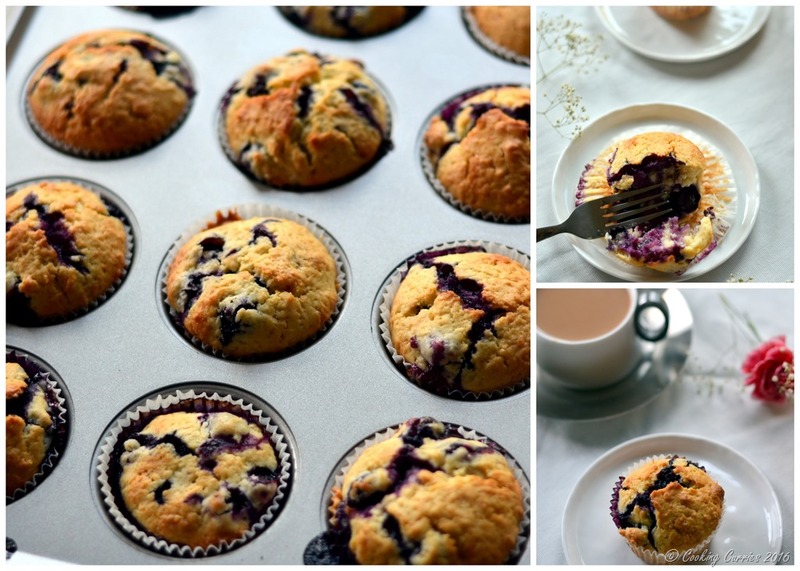 Blueberry and lemon muffins are my favorite muffins ever! I must try this recipe. 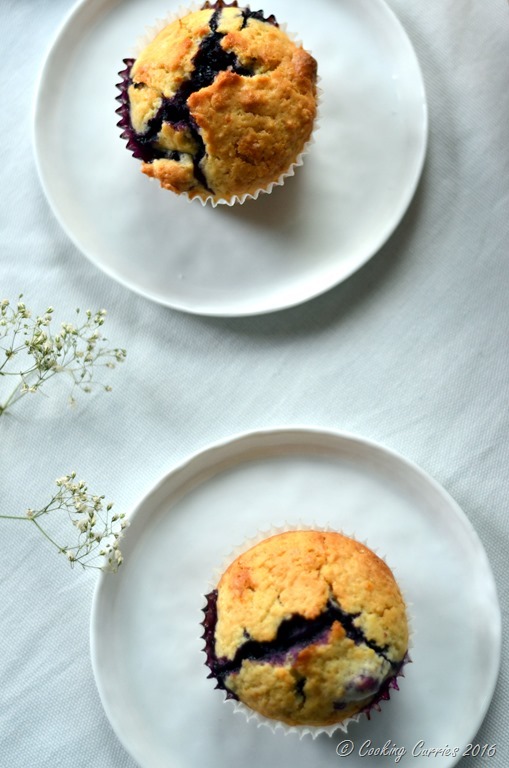 I love the combo of lemon/blueberry – this muffin would be a welcomed addition next to my coffee. 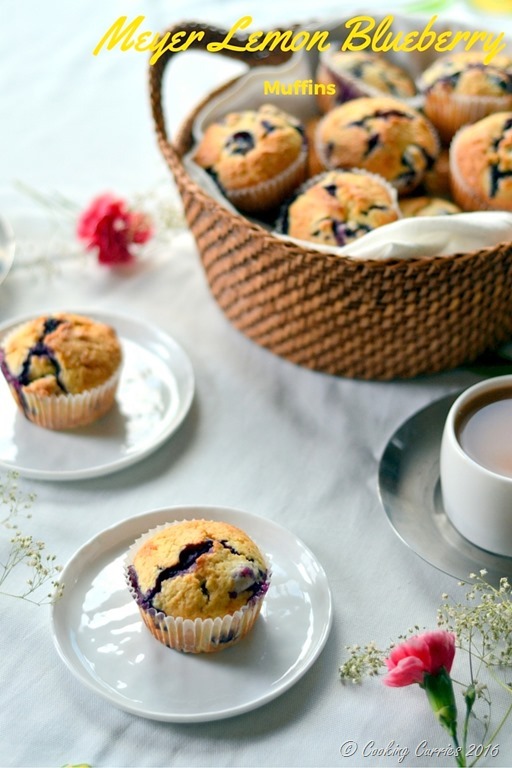 I love the combination of lemon and blueberries, these muffins sound wonderful!